I hope the holiday celebrations have been going well in your home. Here in Toronto, we had quite the crazy start to Christmas. 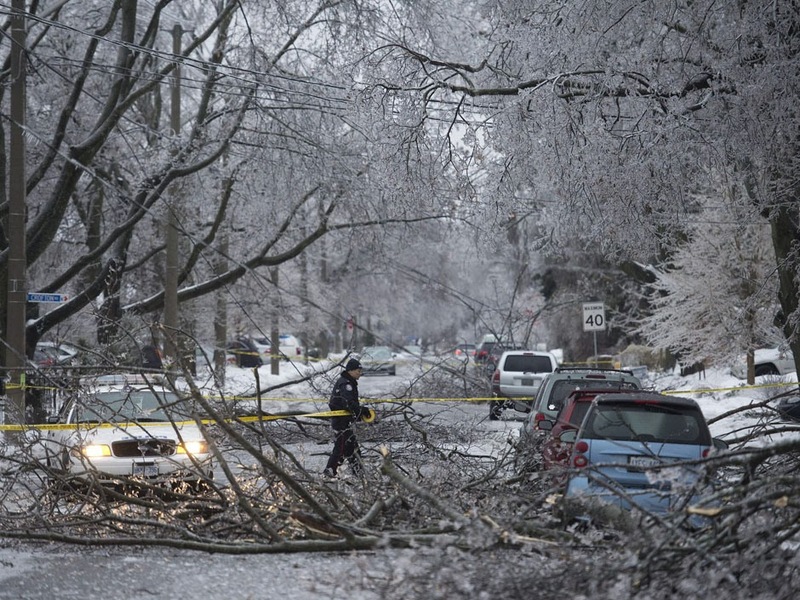 Overnight on Saturday, Dec 21st, there was a massive ice storm that hit the city and much of southwestern Ontario. Our power went out around 11pm on Saturday night and, like 300 000 other homes in the city, was still out the next day. It was getting colder by the hour and Toronto Hydro was telling residents to prepare for a 3 day wait to get power back online, so we started making alternative plans faster than you can say ice ice baby. For more pictures check Instagram #icestorm2013. S did not sleep well in the hotel at all, but although we were tired, my husband and I tried not be too upset because we were just glad to be in a warm room. Miraculously, when we checked with a neighbour in the morning our power was back on again, and we could come home. - the cars were all coated a seriously thick layer of ice. 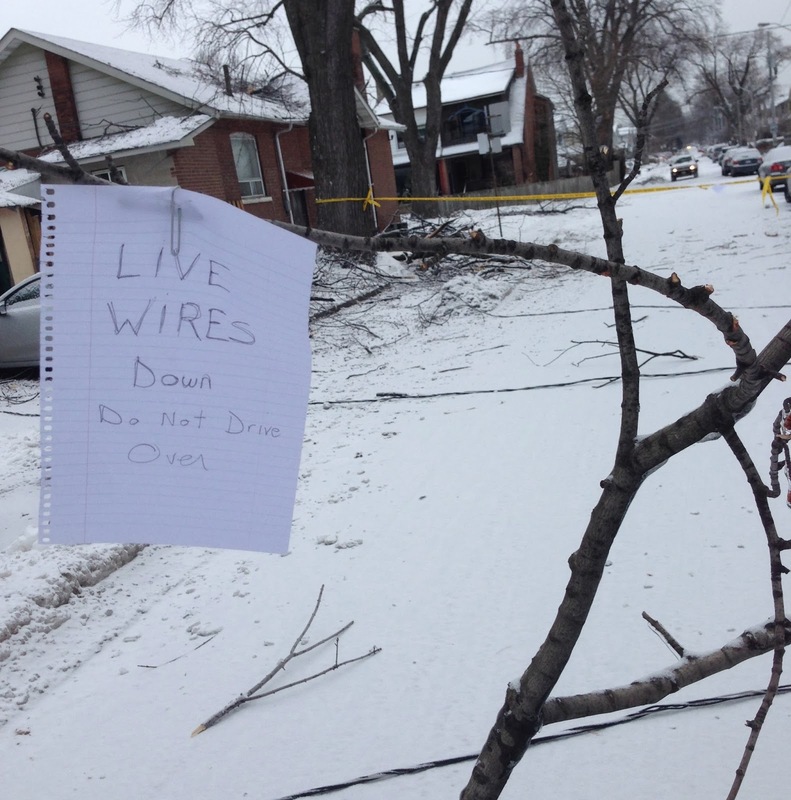 Later the large branch from our front lawn was moved into the street behind our car by some hydro crews and this sign was attached to it. Christmas morning we woke up to the wires on our street removed. I am so grateful to the people who spent Christmas Eve working to clean up the city while I slept cozy in my home. 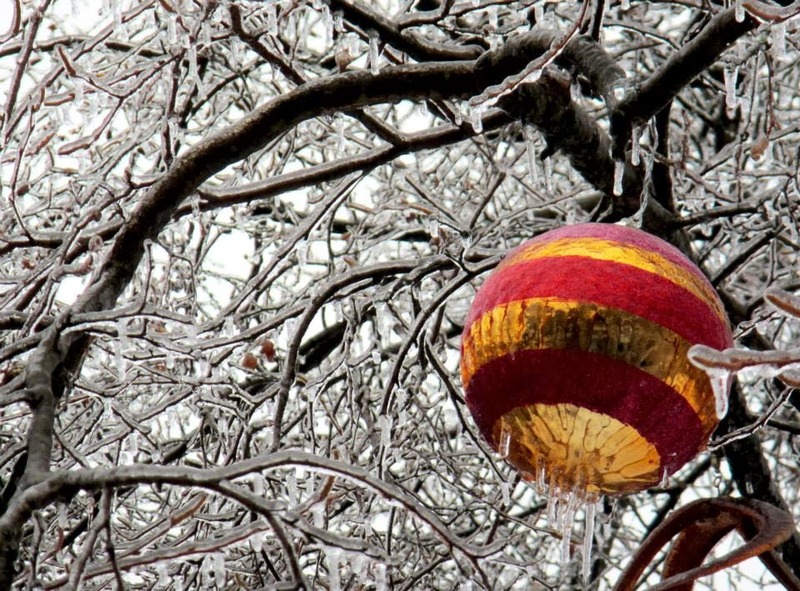 To get a sense of how just every single thing was coated in ice, my friend snapped this amazing shot of a decoration and tree. Refinery 29 must have heard that the weather was getting a bad rep up north, because the day we got home, they posted this find on FB. For the Ryan Gosling fans, the new app Hey Girl Weather now allows Ryan Gosling to be your weatherman. The app is free and Ryan will give you the weather for the day, along with a Hey Girl quote. My friend E loves the Weather Puppy app and asked me to download it so I can send her the cute pictures. Weather Puppy and Weather Kitty are pretty darn adorable, but Hey Girl Weather may now be the cutest app on my phone (insert my husband rolling his eyes here).